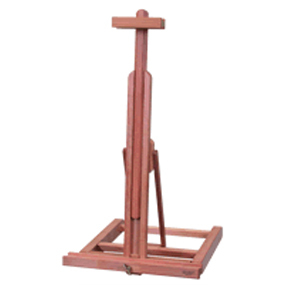 Miniature version of the M/11 lyre easel. Made of oiled, stain-resistant beech wood. Features adjustable canvas height and angle. Maximum canvas: 16cm(w) x 32cm (h). Dimensions: 17cm(w) x 53cm (h) x 10cm (d).